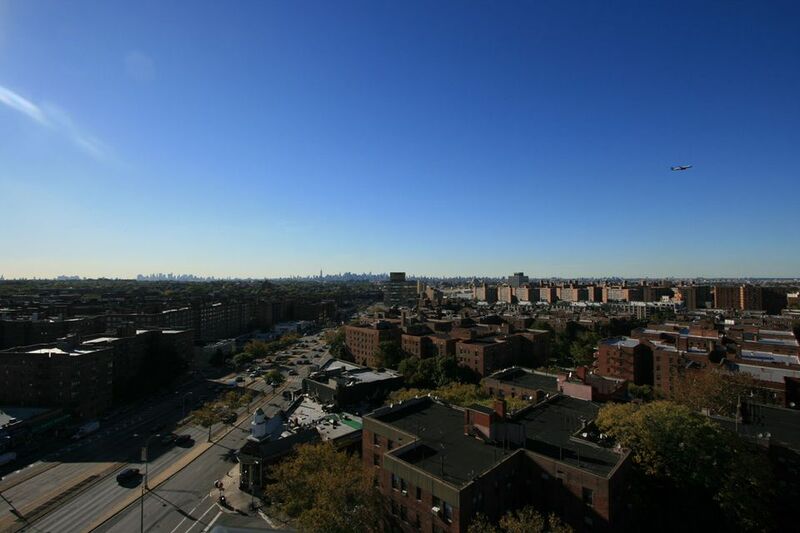 The upper-middle-class and middle-class neighborhood of Rego Park in central Queens may not be as well-known as adjoining Forest Hills, but has much to offer both residents and visitors. Large apartment buildings dominate the housing, but there are also multi-family and single-family homes. The excellent transportation options, the quality of local schools, and the variety of shopping, including Rego Park Center and numerous Russian specialty food stores as well as the gigantic Russian supermarket, Net Cost Market, are a draw for both the local Bukharian Jewish community. Restaurants include numerous Uzebeki kebab palaces as well as the classic old-school kosher deli, Ben’s Best. In fact, the dining scene in Rego Park is such a draw that it was featured on Andrew Zimmern's Bizarre Foods America. To the north, Rego Park's boundary is the Long Island Expressway (LIE) and Corona and Elmhurst. To the east, it's Forest Hills for a long stretch, along 99th and 98th Streets and then Queens Boulevard to Yellowstone Boulevard and finally to Selfridge Street. Rego Park stretches a slim arm all the way south to Metropolitan Avenue where it meets a tentacle of Glendale. It's border to the west is simply Woodhaven Boulevard across from St. John's Cemetery and Middle Village. The Long Island Expressway (I-495) is convenient to the neighborhood, providing access to the Midtown Tunnel and Manhattan. The Van Wyck Expressway and the Grand Central and Jackie Robinson Parkways are also nearby. The M and R subways run local along Queens Boulevard, and the E and F subways have an express stop at 71st Avenue and Queens Boulevard. It's about 20 minutes to Manhattan. The LIRR station in Forest Hills is a hike, but a good alternative if the subways aren't running. The real estate company Real Good Construction Company developed part of the area in the 1920s. The word "Rego" is from the first two letters in "Real Good." Rego Park was a setting in the famous graphic novel Maus about the Holocaust. Cartoonist Art Spiegelman grew up in the neighborhood and uses it in Maus for scenes with his father. Like most neighborhoods in Queens, the population is diverse with many immigrant groups represented such as South Asians, Koreans, Latin Americans, the Balkans, and the former Soviet Union. In particular, there's a large Bukharian Jewish immigrant population in Rego Park (and neighboring Forest Hills) with restaurants serving the Central Asian cuisine and signs in the Russian Cyrillic alphabet. Sometimes the area is referred to as Rego Parkistan. • Parking is tough. Queens Boulevard is usually your best shot at finding a spot, compared to the side streets. • The Rego Park Jewish Center, built in 1948 is an Art Deco Streamline Moderne synagogue that features a lovely mosaic by Hungarian-born artist A. Raymond Katz. It is listed on both the New York State and National Register of Historic Places. • Rego Park Center features a mix of national chain retail stores including Marshall's, Sears, Costco, and Century 21.